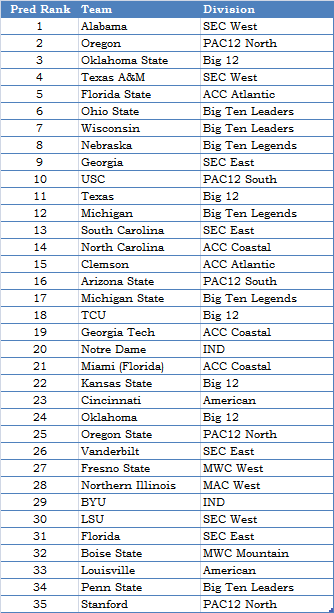 Predicted AP rankings at the end of the regular season, updated for additional data and roster attrition. 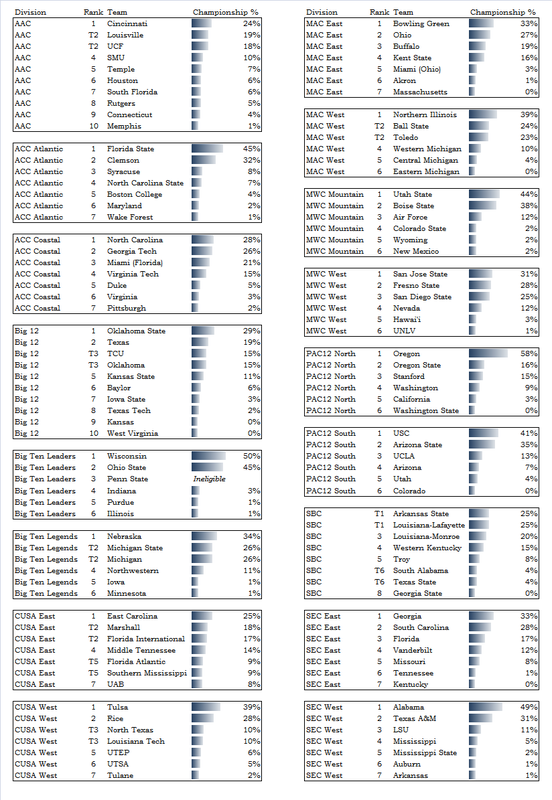 Predictions for all conferences, separated by division, for the 2013 season. Championship % is an estimated probability of finishing in first place in that division.